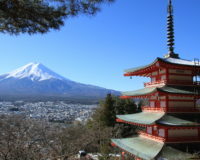 There were many more famous flower-viewing spots in Tokyo during the Edo Period (1603-1868) than there are now and visiting these locations was a favourite pastime. A number of these spots still exist today, such as (in Sumida-ku where the Tobacco and Salt Museum is located) the banks of the Sumida River and the Omurai Umeyashiki, or Kameido Tenjin Shrine in nearby Kameido. There were several other locations also known as “Umeyashiki”, popular with the citizens of Edo and great subjects for ukiyo-e paintings. Once potted plants became common during the 17th century, flowering plants became even more a part of people’s lives. 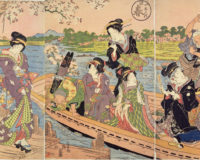 Various horticultural trends such as the fashion for producing morning glory flowers in different colours, or for embroidered chrysanthemums, were depicted in ukiyo-e. 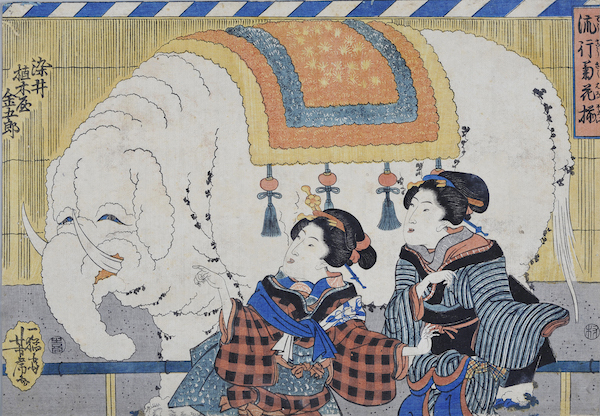 The exhibition features around 200 ukiyo-e prints from throughout the Edo Period, depicting the Edo people’s love of flowering plants and passion for horticulture. The four sections of the exhibition are themed “From Blossom Viewing to Potted Plants (Prologue)”; “Horticulture in Daily Life”; “Going to Look at Flowers” and “Actors and Horticulture”. 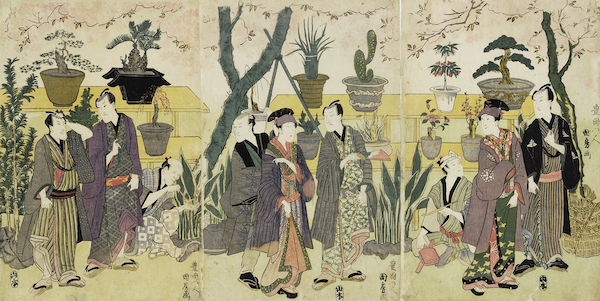 Throughout the Edo Period, going on outings to look at flowers was one of the townspeople’s greatest pleasures. Guidebooks to famous flower viewing spots were published during the latter half of the Edo Period, showing just how deeply rooted the custom of flower viewing was. By the mid-18th century, it had become commonplace to have potted plants at home, allowing the townspeople of Edo, most of whom did not have gardens, to grow their own plants and flowers. With the widespread availability of potted plants, horticulture became a part of everyday life. In addition to landscape paintings and paintings of beautiful women painted for artistic appreciation, flowering plants were also depicted on everyday items such as fans and toys. This section feature paintings depicting plant stalls at festivals and in the amusement quarters, as well as scenes of street peddlers selling potted plants, people selecting plants and potted plants glimpsed through windows. [ News ] “Unbelievable Floriculture in Ukiyo-e” Exhibition Reveals the Edo Period Passion for Gardening. Tobacco and Salt Museum until March 10th, 2019. World Class Plant Breeders. The Edo Period Gardening Craze in old Tōkyō. 【Exhibition】 “Hokusai Updated”. The whole story, told through masterpieces from Japan and abroad, recently discovered works, and works on public display for the first time. Mori Arts Centre Gallery, Tokyo, until March 24, 2019. Hotel Gajoen Tokyo 90th Anniversary Celebration “HYAKUDAN KAIDAN Exhibition – Glory of Japanese Art”. November 29 〜 December 24, 2018. 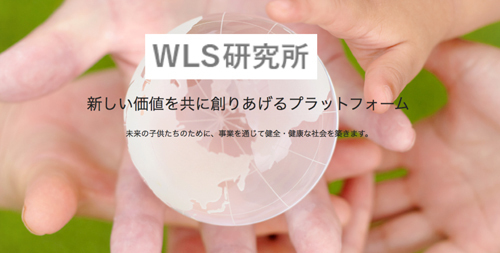 【Exhibition】A Thousand Wonders of Japanese Technology: A brief 150 year history of Japanese modernisation. 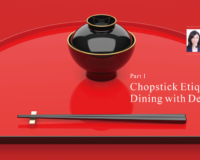 30 October – 3 March 2019, Tokyo. 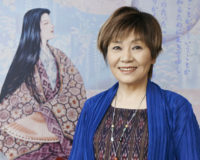 Manga artist, Machiko Satonaka, speaks of the things she cherishes about Japan. The time of the Man’yōshū is when free expression and a distinctive Japanese culture began to emerge. Getting Out and About in Kimono! 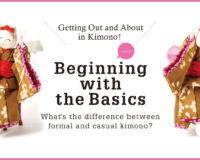 Beginning with the Basics: What’s the difference between formal and casual kimono?